●Description: Lift Check Valves are designed to prevent backflow in the system in case of a power failure or a change in the flow characteristics. In backflow conditions, the disc, guided by a stem, closes due to a spring mechanism and achieves sealing. Drip tight sealing is achieved by metal-metal or metal-resilient sealing mechanisms. Due to the spring driven mechanism and short travel distance of the disc, valve closes very fast, providing non-slam closure. In normal flow conditions, disc is opened by the flow and Y-shaped body provides minimum pressure loss. 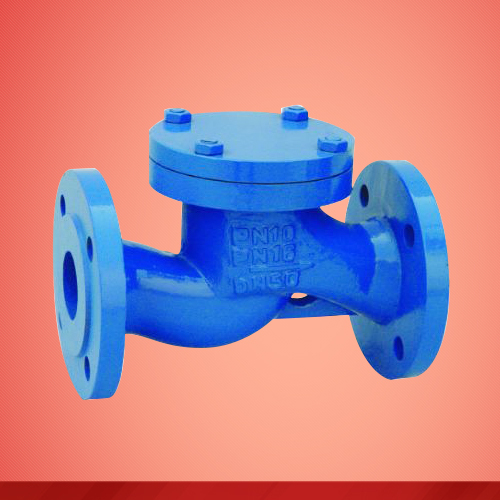 By the help of the top flange assembly, all parts of the valve can be dismantled easily from the valve without removing the valve from the pipeline, causing easy maintenance.